ATHENS, Greece (AP) — Greek authorities say more than 100 people were detained during rioting in Athens and the northern city of Thessaloniki following events marking the 10th anniversary of the fatal police shooting of a teenager. Police said Friday that 66 people were detained in Athens during the violence that began Thursday afternoon, with 13 of those arrested. Another 15 people were arrested in Thessaloniki after 52 people who had been detained. 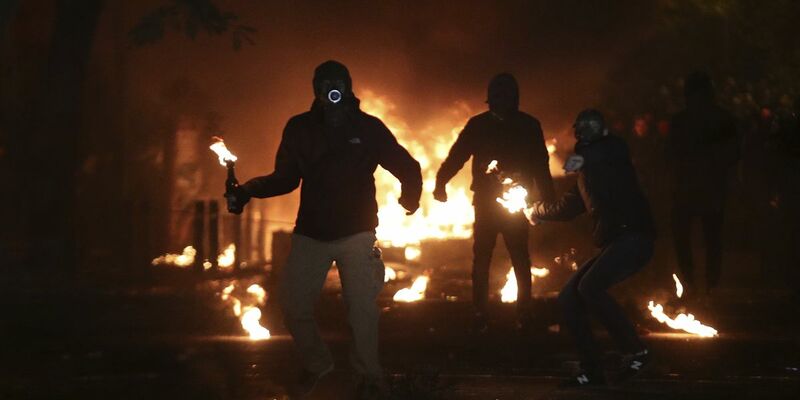 In Athens, protesters had set up burning barricades and pelted police with firebombs, rocks and fireworks, with police responding with tear gas, stun grenades and a water cannon. The Dec. 6, 2008 death of 15-year-old Alexis Grigoropoulos sparked the worst rioting Greece had seen in decades, with the violence spreading to cities across the country for two weeks.